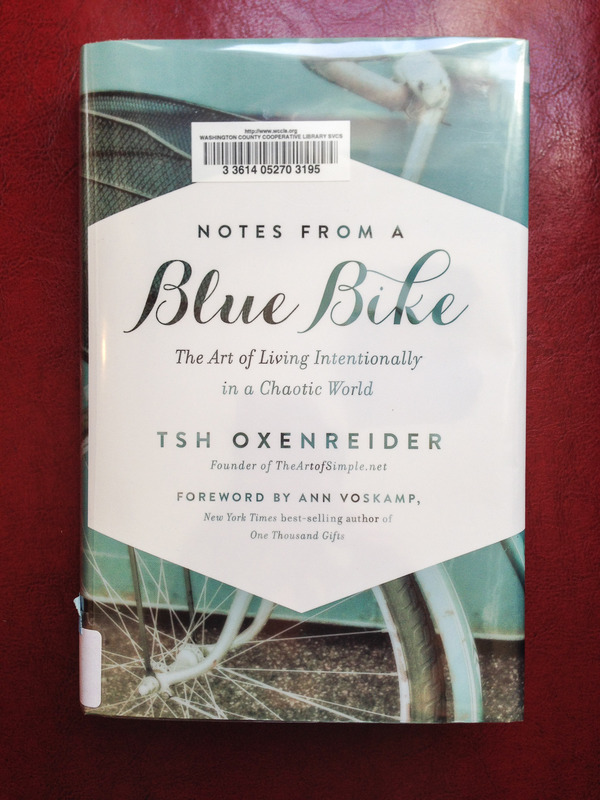 Over the last 2 weeks I’ve had the pleasure of reading Notes From a Blue Bike; The Art of Living Intentionally in a Chaotic World, by Tsh Oxenreider, while sitting on the couch feeding the baby. It’s the one time I feel no guilt reading in the middle of the day (OK, let’s face it, I don’t really feel guilt reading during the day when the babies are napping); holding my baby, making sure his bottle stays in his mouth (which is hard to do when you’re engrossed in a good book) and picking up my latest read. This book was so refreshing. 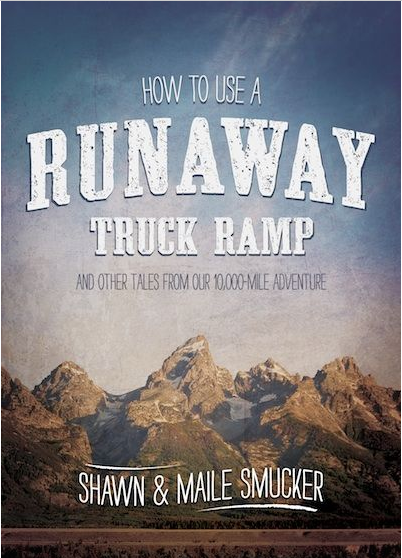 It was an easy read, with SUPER short chapters that made you feel like you actually read something, even though you may have only had 10 minutes to sneak in. Tsh has such a fabulous, cultural background that influences her thinking and her desire to live slower and more intentionally as a family, amidst the crazy American-Dream lifestyle that the majority of Americans live. I found myself nodding and agreeing out loud with MUCH of what she said. This book is perfect for anyone wanting to think deeper about the way their family is living, what their goals are and how to go about slowing life down just a little. It’s a lot about swimming upstream in our culture, which isn’t a bad thing, by the way, and creating dead space to veg out and let our minds wander; it’s about what’s best for YOUR family and living out who YOU are, not some formulaic way of life that “everyone” lives. And of course, it’s always fun when you read a local author. Tsh is currently living in Bend, Oregon, but I’m guessing she’ll get a hankering to get out of dodge and travel world-wide sooner than later. So go on! Go request it at the library or download it to your kindle – it’s a great summer read! This is what I’m reading at the moment and it’s one of the most beautifully written books I can remember reading. I’ve been following Kelle’s blog for about a year now, and love, love, love her attitude towards life, hardship and finding joy in the midst of everyday trials. 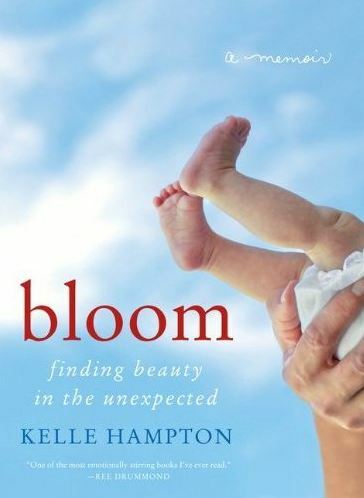 I was given Bloom by a friend, who handed it to me and said, “I’m sorry, but you’ll be crying in the first 10 minutes….but it gets better, I promise.” “OK”, I say, having no clue how this book would really touch my heart. I sat down Saturday afternoon on my sunny deck, propped up my feet, with my shades on ready to drink in this book and found myself a crying mess by page 10. My pour husband came home at about chapter 3 and gave me the “what in the world happened to you” look and so I explained, re-did my makeup and then made myself put the book down for our date night. Moral of the story: DO NOT read until you can cry your eyes out and not have anywhere to go in the near future! I don’t want you to have the idea it’s just a sad story. It’s so much more. You will be laughing out loud, re-reading the hilarious parts to your husband late in bed, and then, yes, you will cry again….BUT, it will grow you, encourage you, and spur you on in your personal life.